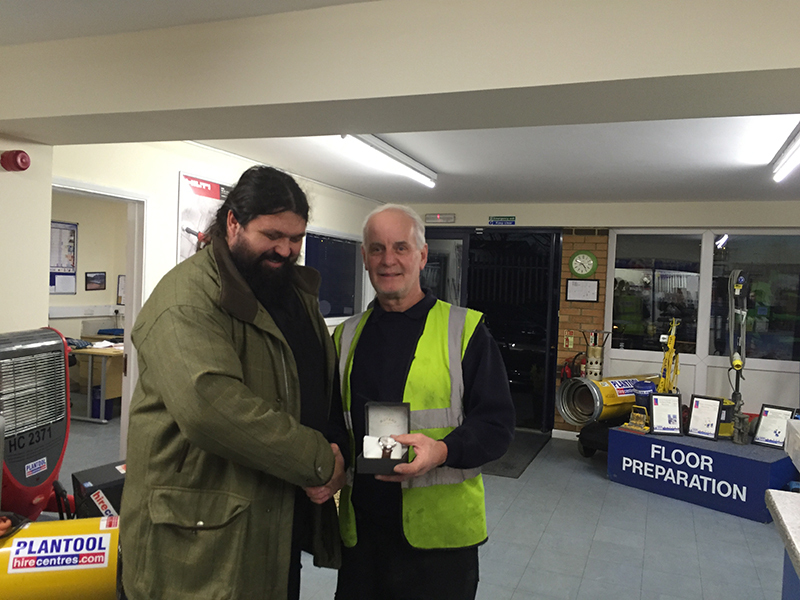 The Plantool team have recently said a fond farewell to Brian Hewitt, a valued member of our team who worked at our Kettering depot. Brian was with us for 7 years working as the driver. Previous to this, he was manager at the Brandon hire depot in Kettering but came to us when they closed it down. Brian was certainly one of the best drivers in the business with his knowledge, experience and love of helping customers. He was always busy and never spotted without a smile on his face. Brian will definitely be missed by the team here at Plantool and although we suspect he may be back part time or covering for holiday (he is booked onto this years team building day) we are sad to see him go! The pictures shows Brian receiving his Rotary watch with a small plaque on the box to recognise his retirement. Thanks Brian and Happy retirement from everyone here at Plantool.